That last one is me. I don't get football. Not the game per se, but the point of watching other people play it. If you like the game so much, go play it yourself. Watching sports, in general, seems silly and a waste of time so I don't bother pretending when the Big Game day arrives. I just stay home instead of being the wet blanket no one needs at a party. Unfortunately, I don't have the same option when it comes to church. If you observed me on a Sunday morning or on a Sunday afternoon in February, you probably wouldn't notice much of a difference. I'll stand up when everyone else does, chant along with others as it seems appropriate, and pay close attention to the front of the room when the atmosphere gets serious. But as much as I don't get football, I don't get church even more. Music will play and I'll see others raising their hands or tearing up with joy like they're meeting the love of their life in the airport after a long trip. During prayer, I'll occasionally steal glances like a heathen and note the utter prostration or even contrition in the faces of some people around me as if they had just seen a bush catch on fire. Even the sermon is a time when most people seem to be at their most teachable like toddlers eager to try whatever they see their parents doing. Not me. 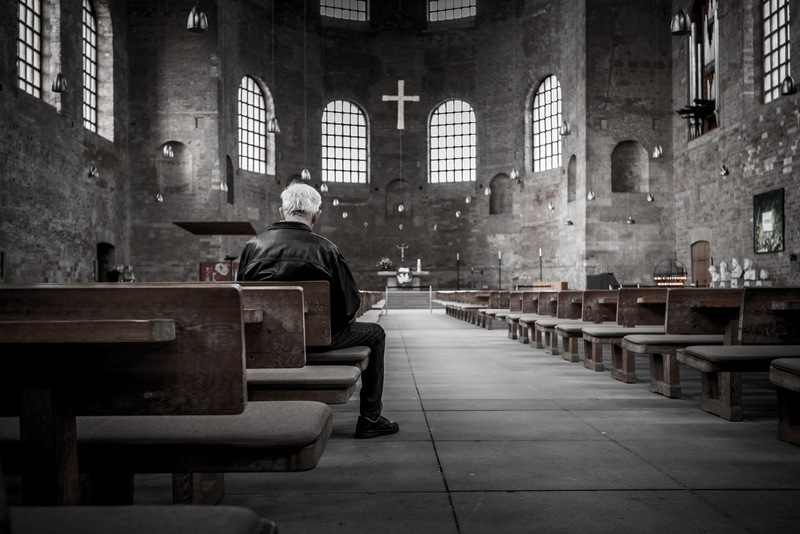 While everyone else seems to experience God in different ways during a service, I never have. I don't even know if I understand what experiencing God means. 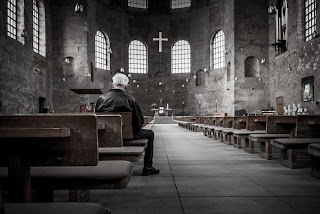 For me, going to church is little more than obeying a command--a command I even broke for a few years in a sort of reverse Pascal's wager just to see if I really did have faith or if I was faking a mental illness. Sadly, I do have faith. And I say sadly because, being who I am, I don't want it. I know I'm bought and paid for, but I don't understand why. Some people have a hard time with their sin and struggle to accept that God could love them, but that's not me either. I know he died for me. But the weird part is that he died for someone who doesn't fit in. I don't belong in Christianity. Even my Meyer's Briggs type (INTP) indicates that I'm predisposed to agnosticism. I'd love to be a part of that community. Where everything can be questioned and nothing needs an answer because the universe and the nature of existence are so much bigger than our tiny heads can comprehend. In other words, the opposite of most church communities where every question has a chapter and verse answer. But those aren't my people. My people are people who trust Jesus because I trust Jesus. Even in all my questioning, there's a place where the questions stop and the submission begins. As much as I challenge the truths I find in Scripture, I still accept them and live by them. Trusting Jesus should be enough, but that gets harder every week when you're surrounded by dismissive answers and worshippers who can't understand why you won't humble yourself and get with the program. I've begged God to change me over the years. I've begged for an unquestioning mind so I could catch a glimpse of him during church--something I could hold on to that would give meaning to my Sundays. Instead, I think I've experienced God in other places. Playing music is something I can only describe as an intimate moment because I sense God's desire for unity through diversity. Harmony. Even listening to music can take me to that place. Especially when it honestly reflects the mournful musings of the questioning mind. Conversations where questions are encouraged are another place I think I've experienced God. Everything from philosophy and theology to politics and ethics reminds me of his meticulous orchestration throughout history. Stories of forgiveness, redemption, and sacrifice speak for themselves (don't judge me, Gilmore Girls had some powerful moments). If those are genuine "experiences", then none of those have happened at church (playing on a worship team might count if the music wasn't solely imitating top 40 love songs). The traditional formula of greeting, worship, prayer, offering, sermon, communion (hopefully), and benediction isn't exactly conducive to most of my God encounters. And until that paradigm is allowed to loosen a bit, people like me will never find the same joy and rejuvenation that others do in church. Rather, today's expression of church is exhausting and excluding to pensive introverts like me. We're relegated to seeking God in safe, small groups or time spent with a handful of close friends. But even then, sometimes our dysphoric temperament means that we have to find him on our own. Maybe church really can't be for everyone. But if experiencing God together as a community is reserved for those that fit a certainly personality, I'm not sure that's really church. Unless you think enjoying football isn't necessary to being a football fan. Well I would have to say that is very much how I experience church. I go because my wife and kids love it and I love them but for me I don't get it. I believe in the truths of Jesus but church does not cut it for me. I feel tremendous guilt when everyone is worshiping, raising hands, crying, etc and I am somewhere else. I experience God deeply when I am alone and especially when I am kayaking or mountain climbing and it's a 'real' experience for me. Church is so tribal and each one has its own slant. Someone is always ready to sell you on their brand. So for now I am stuck watching 'the game' and not playing. That's exactly how I feel. So much it made me cry.